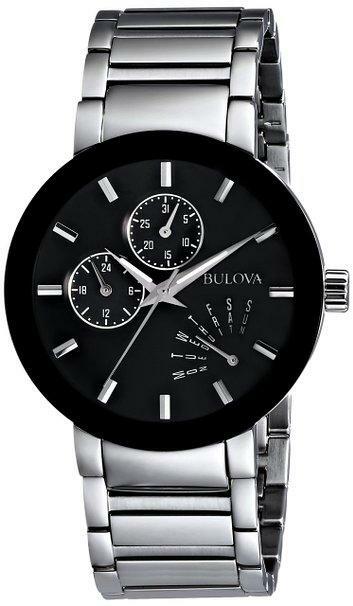 Bulovas 96B256 Mens Marine Star Chronograph Watch. 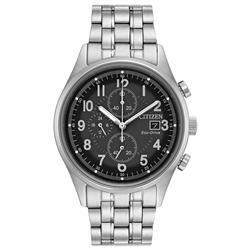 Get a move on with this watch. 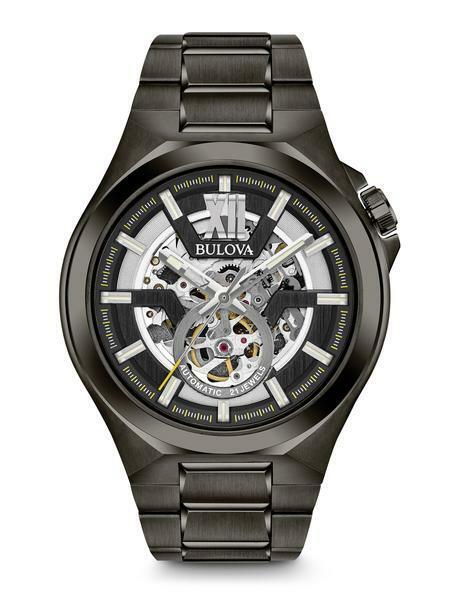 Its unmistakably handsome way to tell time includes multifunction sub dials and three smooth sweeping hands, all run by precise quartz movement. 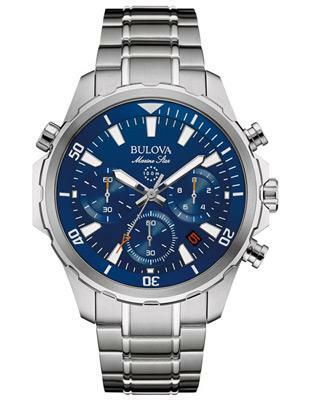 Brand: Bulova, Dial Color: Blue, Strap: Stainless steel, Clasp: Fold over with safety pushers Movement: Quartz, Water Resistance: 100m, Case Width: 43mm, Case Thickness: 12.2m Bracelet Dimensions: 8.5 inch long; 22mm width. 3 year limited warranty.